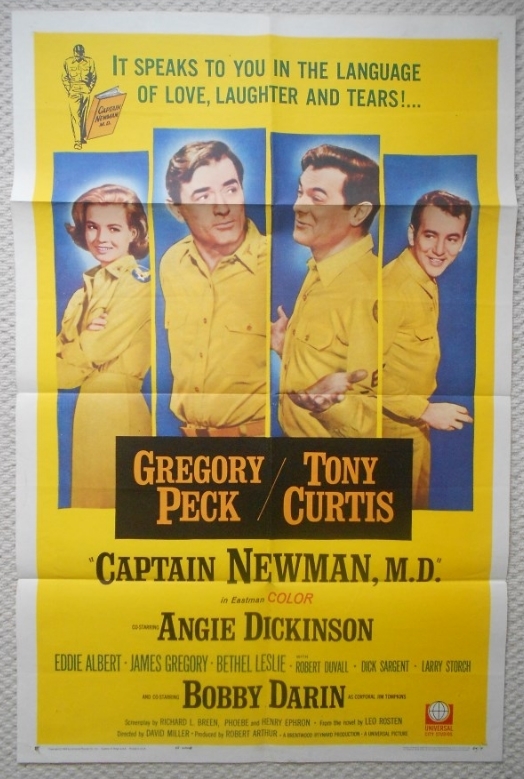 1964 original movie poster from the film ' Captain Newman MD ' featuring Gregory Peck, Bobby Darin and Tony Curtis. This poster is in VG++++ condition and measures 27" x 41". The poster has a small hole between the name Bobby Darin, two tiny holes at both sides of the bottom. Tiny bit of tape on the back and light border wear. See larger pic for more detail.